Which events are your most favourite? 1. Which events are your most favourite? I would like to open a discussion based on the TruckersMP Official Events, which we host every month. I am interested to read opinions from you as participants. Please feel welcome to share your honest thoughts, and discuss with other members of the forum as well! Firstly, I am keen to know what you think of our recent Real Operations V5 event. How did the experience differ from previous editions of the series? It is clear this event is the most popular and I will continue to work hard to host more. How is your experience with our events, in general? What is your favourite event so far? How many of our events have you attended? Why are our events important to you? What do you like about our events? What don't you like about our events? Any ideas for future events? Thank you all for reading and participating. I wonder about the next event. I really enjoy the Real ops more than anything. I like the events because the players are gathering together and communicating. New People from every part of the world are becoming friends and chatting. This is a very beautiful thing. Thank you for giving us this opportunity. I'm trying to join every Event. But, so far I have attended about 5 - 6 Events. Thousands of people are driving together for the same goal. I want to be part of this community and leave my memories to this Community. That's why, I'm trying to join the events. I like to spend time together. In addition, if such events occur frequently, the players will know each other better. Some people are so rude. Unfortunately, we can not prevent this in any way, but we can reduce it. Finally, I do not understand people trying to ban each other by "constantly" video recording. This is just a game. We must be a little more understanding. Yeah. We can set a goal. For example; We can organize an event for Cancer patient peoples. So we can give them morale. It's just a example. I'm into all the events that truckersmp does, so I can say that the truckersmp is the favorite. Real Operations, its the less chaotic of the lot due to the freedom! I like every TMP event, because I can see many friends. I hope TMP can hold many such big truck parties! I want to post also my opinion about events of truckersmp team. Positive: i like your convoys, finds someone events, its really good, waiting for more of this. Negative: real operations. Best real operationes was first, because it was something new for truckersmp so it was the best. But guys, v2-v5 was same, same situations but only other roads. Yesterday, if i want to see all situations i should waste around 2 hours and 30minutes i drive on highways and watching some situations and 1.5 hour i should waste only for truffic jams to see 2 or 3 situations? is it ok? i think no. so my opinion is to stop host real operations until ets2 give ur some more ways to create some really new intresting situations on the road. Or just host real operations 1 time per year for example for birthday of truckersmp. Location: I am right beside you. I like truckersmp's activities very much. Of course, I will vote for the public fleet. Because I like more people to come to activities. 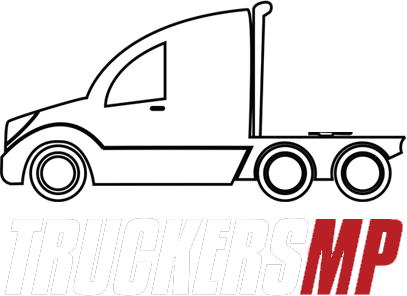 A big Thank you to the TruckersMP Event Team for the nice Events always. I enjoy the Real Operation Event and the Convoy myself. Pretty nice for the Community i think. Also a Thank you to the Developer for setting up the Event Server always! It's not easy to moderate 1600-2000 people at the same time. When attending the event, I can meet many different players from around the country, get to know them and be able to run or chat together. And more, it's a well-prepared event for players from the TMP and it gives us some surprises about events that I really like. Some participants in the event still do not follow the rules but that's just a minor issue. In general, it is still great events from TMP. And it is possible to organize events for people who have big differences in time. For example, people living in Asia, it is difficult for them to participate, most of the events take place at 12 pm, so they can not participate. You can organize a event with only skoda (or skoda with caravan trailer). It can be called "Skoda/Car Festival Event"
How is your experience with our events in general? So far it has been very excellent. It is always good to try new things. What's your favorite event so far? How many of our events did you watch? At the moment I participated in 4 until now. It's nice to meet new people, and simply to be well organized. And also because of the fact that I like events that brought together several people. The way the event is done, because it is well organized. It shows a little of reality. What do you dislike about our events? I have in mind a meeting of trucks and a certain place, I do not know for sure, would be a "TruckerFest" There could be a beacon championship (parking lot) in a record time in a planned place that hinders maneuverability. Real operation events! i like. realistic driving, accidents etc. Very good, they are well organised and event staff are always on point guiding the way clearly. What is your favorite event so far? My favorite event has to be Real Operations V3, I really enjoyed going through the UK roads - it was alot of fun.. I've only been able to attend 3 of them due to the day of the event. TruckersMP events are important to me as they get the community involved with one big event and it really shows the strength of the TruckersMP community. I like how things are organised and how smooth it is ran with trolls being dealt with effectively. The date/time of the event, Sundays don't often work for a lot of people but Saturdays do. Great, I've visited some convoys and real operations, staff is kind there, people try their best do drive well and I really like that. TMP staff organised convoys are always good, as there're event team with great experience and understanding how to control and manage such a big community on road. I like that there are lots of drivers, so It looks more real. Also, Event Team is doing their job very well, that's really important. Make surviving convoy, It means that no rules working there, so people who get from place A to place B will be survivors and maybe for that people there could be special forum title like "Event Survivors". Btw, I think you need to think more about events which give people some titles on forum, that will make events more interesting, so more players will join it. How many of our events have you attended? Too many to count, i always try to join if i can. Any ideas for future events? I like to see more Events where we get the challenge, to drive and park good and fast as we can. This topic is still up to date. I thank all users who participated in the discussion.